We have provided answers to many questions that our office has been asked by families below. Please select the category you’re interested in below for specific questions and information to that topic. One of the most important ways parents and families can help their students in college is by encouraging them to solve their own problems. Please bookmark or print out this Stop, Drop, and Roll flyer so you have it when your student contacts you with a problem. Also, the flyer lists contact information for urgent and serious concerns where family intervention might be appropriate. Contact the Office of Family Engagement with your question so we may assist you. I am a parent or family member of a newly-admitted Early Decision student (Class of 2023). Where should I look for information I need? How do I begin receiving emails about Wake Forest matters? What should I know about the course selection process for my first-year student? My student took Spanish in high school, but is thinking of switching to a different foreign language at Wake Forest. What are your thoughts? My student is thinking about forgoing AP/IB credit – what should he/she consider first? My child has been accepted at Wake Forest; when will he/she find out his/her roommate’s name? Is there a way to locate other incoming new students from our area? When is Move-in Day and Orientation? If my student attends a Pre-Orientation session, how should we make travel plans for our family? Is there a tuition insurance program in case my student has medical issue that would necessitate a withdrawal? What immunizations will my child need and what information is required on the medical form? For now, start with our Incoming Families page. In May 2019, the New Students web site will go live with information about Orientation and Move-In for new first-year students and their families of the Class of 2023. Families should bookmark the Parents and Families Page and the Daily Deac blog – see instructions to subscribe to it here so the Daily Deac can come straight to your inbox. Complete a Family Record Form as soon as possible so we can get your email into our system and can begin sending the Wake Parents and Families e-newsletter and other communications from the Office of Family Engagement (most communications are via email). Information about tuition goes to your student unless/until he/she adds you as a third-party payer in DEAC (highly recommended). Incoming students will select part of their classes over the summer, and the rest will be assigned to them based on a survey they will take called the Course Preference Form. More information will be available on the New Students web site in May prior to your student starting school. This is a decision only your student can make. There are a number of things he/she may want to consider; read one academic adviser’s advice. See the Academics section for information. New students are notified of their roommate in late July/early August. Assignments are made without regard to race, religion, sexual orientation or national origin. We do not assign siblings or friends as roommates. New Student Receptions for new students and their parents or family members are held in various cities across the country during the summer. Please be sure to register to attend the reception of your choice. Move-In Day for new students and the first day of new student Orientation will be announced on the Parents and Families page for incoming students when it is available. It will also be on the Academic Calendar.. Optional “Pre-Orientation” programs allow students to campus a few days or a week before move in. Prior to making travel arrangements, families and students will want to see when Pre-Orientation applicants will be notified about acceptance, as some programs have limited capacity. Some families send their student to campus for pre-orientation with the bare minimum necessities, then the family brings the bulk of the student’s belongings for Move-In Day and can attend Orientation activities for family members. Other families move their student in 100% at pre-Orientation and return for family Orientation activities if they can. Each family should feel free to make the decision that works best for them. An unexpected withdrawal due to sickness or injury can mean significant financial consequences for families. 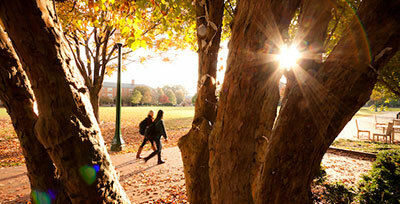 Wake Forest offers an elective tuition insurance plan through A.W.G. Dewar, Inc.
Wake Forest and North Carolina State law require certain immunizations for students. What should I know about academic requirements for students? What are Basic and Divisional Requirements? Why does Wake Forest assign initial academic advisers without regard to students’ initial expression of potential interest in a major? When do students declare a major? What are First Year Seminars and Writing Seminars? Are free tutoring services available? Do AP (Advanced Placement) and/or IB (International Baccalaureate) courses completed in high school count for Wake Forest credit? My student is thinking about forgoing AP/IB credit- what should he/she consider first? When are semester breaks and holidays? How do I know when to purchase tickets for my student to come home? How do I get access to my student’s grades? What should my student do if he/she has issues with registration or his/her class schedule? Are parents able to assist with their student’s schoolwork? What if I have questions about my child’s academic performance? My student has received a very poor grade in a course. What options are available? My student has a professor who has a foreign accent that is difficult to understand. He/she does not want to get a bad grade in the class. What is the best course of action? Does Wake Forest offer summer school, and what should we know about it? Who should I contact to notify of a family emergency that affects my student? If my student is ill with mononucleosis (“mono”), what should he or she do? What are the requirements to be on the Dean’s List? What Textbook options are offered? How do students obtain their textbooks? There is an overview of curriculum requirements for the first-year student, along with typical schedule and an explanation of our Basic and Divisional requirements. The New Students website and the Undergraduate Bulletin provide a full list of Basic and Divisional Requirements. In each academic department’s section of the Undergraduate Bulletin, courses that satisfy Divisional Requirements are marked with a (D) at the end of the course description. Every new student is assigned an academic adviser (usually a faculty member) and a student adviser. Before every registration period, students have a face-to-face meeting with their academic adviser (with the exception of the summer prior to enrollment, when first-year students will register for some courses themselves). There are also professional academic counselors in the Office of Academic Advising to assist students. 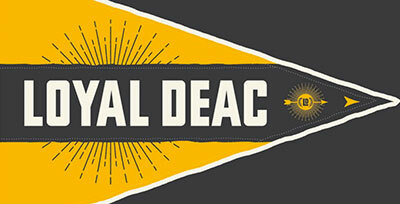 The Daily Deac parent blog explains the rationale in detail here. Majors are typically declared in the second semester of the sophomore year, at which point a new academic adviser is assigned in the department(s) of the major(s)..
First Year Seminars, which enroll 15-19 first year students, are taught by faculty from all departments. These seminars include discussion and debate on issues and examination of opposing viewpoints that will hone students’ critical thinking skills and written and oral arguments. Writing 111 Seminars are very similar in format, with a heavier emphasis on writing. The Learning Assistance Center provides free one-on-one and group tutoring services. Tutors are generally available for courses that satisfy divisional requirements, including sciences and foreign language. There is also a Math Center, Writing Center, and Chemistry Center. Some academic departments also keep a list of private tutors students can hire (the student pays the tutor’s fee). Depending on the score of the test, a student may get credit. See the AP Credit and IB Credit page for more information. Once AP/IB credit is relinquished it cannot be granted again; the decision is final. Prior to making a decision, students should discuss this with an academic counselor in the Office of Academic Advising, a faculty adviser, or an academic program director. Before families purchase airline tickets for breaks, students must consult their course syllabus and talk to professors about the course schedule and final exam times. While families can use the academic calendar as a general guideline for travel, some professors will schedule exams or assignments on the last day of class before break; other professors have attendance requirements that only allow a certain number of missed classes. Final exam schedules will be posted on the Registrar’s web site when they are finalized (see Calendars section then look for Final Exams). NOTE: women participating in sorority recruitment will arrive in January a few days before classes begin; see the Fraternity and Sorority Life web site. The Family Educational Rights and Privacy Act of 1974 (FERPA) is a federal law which is designed to protect the privacy of and limit access to the educational records of students. In order for family members to see their student’s grades, students must grant “proxy access,” Students can create proxy user accounts and assign access to specific items such as class schedule, mid-term and final grades, academic transcript, and degree audit/progress. See more from the Daily Deac blog about student privacy. Students will meet with their advisers during New Deac Week (aka Orientation) to discuss their schedules and will be able to make adjustments to their course registration, if needed and if course availability allows, at that time. Students can also work with the professional academic counselors in the Office of Academic Advising (OAA). Students can either go to 125 Reynolda Hall or call 336.758.3320 to make an appointment. No. Students must abide by the Honor Code, as explained in the Student Code of Conduct. Wake Forest offers many free tutoring options (Math Center, Writing Center, Chemistry Center, Learning Assistance Center) for students to receive help. If students reach out to family members for help, the family should refer their student to these on-site resources. Emotional support and encouragement from families is wonderful, but under no circumstances should a family member actually do the work on behalf of the student. Read more. Contact the Office of Academic Advising (OAA) at 336.758.3320 or undergraduateadvising@wfu.edu. Families should not contact faculty members; the faculty-student relationship should be built by the student. In addition, faculty will not know whether the FERPA (Family Educational Right to Privacy Act) proxy access has been granted, but the OAA will know students’ FERPA status. From the Undergraduate Bulletin: “A student may repeat at Wake Forest a Wake Forest course for which he or she has received a grade of C- or lower. In this case, all grades received will be shown on the transcript, but the course may be counted only one time for credit.” One strategy for retaking a course previously failed is to consider doing so in one of Wake Forest’s summer school sessions. The Office of Academic Advising has recommendations, which were shared in a Daily Deac blog post. Yes, Wake Forest offers a Summer Session. There are many different reasons that students might consider taking classes over the summer. Read more about Summer Session on campus. In addition, it is possible for students to take some classes at approved colleges and universities closer to home; see the Registrar’s site for more details. To report a serious illness, family emergency or other matters that might affect your student’s wellbeing or academic progress, contact the Office of Academic Advising at 336.758.3320 or undergraduateadvising@wfu.edu. Note: If you need to report an urgent situation that requires immediate attention, the 24-hour contact number for parents or families is the University Police number, 336.758.5591 (non emergency) or 336.758.5911 (emergency). They can get in touch with the on-call duty staff 24-hours/day. The Student Health Service provided the following information/recommendations about mono. Students should contact their professors directly to let them know of their delay. They can also contact the Office of Academic Advising at undergraduateadvising@wfu.edu and alert their RA (Resident Adviser). The Dean’s List includes all full-time, degree-seeking students in the College and the School of Business who have a grade point average of 3.4 or better for a full-time course load in the semester and who have earned no grade below C during the semester. Textbooks, located beneath the Bookstore in Taylor Hall offers new, used, and rental textbooks (as well as course packs and digital versions as requested by the Faculty). Once students have registered for their classes, if they want to order online at the Bookstore, they can do it online. Students may also purchase their textbooks in person – the textbook Department is located on the bottom level of the Bookstore in Taylor Hall. Buyback is a chance to sell back used books for cash. When a book is being used again on our campus, we are able to offer top dollar in cash to purchase back that book. We accept all major credit cards, cash, check, and Deacon Dollars. How can my student get tickets to Wake Forest sporting events? Are there shuttles to take students to/from games? Being part of the Screamin Demons student organization is the best way. Screamin Demons sign up happens just after the start of school; students should look for flyers around campus. General student seats are available for other sports. Prior to football games, the Athletics Department runs shuttle buses between the Reynolda Campus and BB&T Field. The buses typically start picking up students at Wait Chapel four hours before game time. As kickoff approaches, additional shuttle buses will also make pickups at Benson University Center. Students should check advertisements on campus for information. What types of activities does Campus Recreation offer? My son/daughter played on a competitive sports team in high school. What opportunities are there for him/her to continue to play competitively? How do students find out how to join or tryout for a club sports team? Are there leadership/employment opportunities in Campus Recreation? There are fitness classes, intramural sports leagues, club sports, and outdoor trips, and more. Activities are listed on the Campus Recreation web site. Campus Recreation has Club Sports teams who practice two to three times per week, have operational budgets, elect officers and travel/compete in collegiate leagues regionally. Many of these teams host tryouts, many do not. Intramurals offer a wide variety of competitive leagues for students of all skill levels. Students can seek information at the Student Involvement Fair, which is held the near the first day of classes in the fall. Individuals can also see the Campus Recreation website. Yes. Campus Recreation hires students as fitness instructors, personal trainers, lifeguards, fitness center supervisors, outdoor pursuits trip leaders, sports officials, and special events supervisors. Visit their website for more information. How do students learn about career opportunities? How can students explore possible majors and career paths? What should my student be doing to help his/her career search? How can I get involved? What if there are opportunities in my organization? The Office of Personal and Career Development guides students as they explore majors and careers, prepare resumes and for interviews, and search for internships and jobs. Students should register with the OPCD using our Handshake system; creating a Handshake profile grants students access to jobs and internship opportunities tailored to their career interests. Before students begin making decisions about majors and career paths, we encourage them to assess their interests, values, personality type and skills. Self-assessment instruments can help identify possible majors and career paths that align with their interests. Students may access assessments by making an appointment with a career coach by registering through Handshake. The career development website presents a year-by-year look at recommended activities. Career coaching appointments, assessments, career fairs, graduate professional school fairs and advising, networking events and more can all be accessed through Handshake. Parents can provide career advice and support to students by joining the LinkedIn Career Connectors Group. If you are interested in hiring students for internships or full-time jobs, see the Daily Deac parents blog interview with Lori Sykes of our Employer Relations team for more information or contact Lori Sykes at 336.758.3850 with internship and job leads. How do students print their documents? What should my student do if his/her WFU-issued laptop is lost or stolen (Class of 2016, 17, 18, and 19 only)? All undergraduate students at Wake Forest have the opportunity to purchase a powerful laptop through WakeWare. WakeWare gives you the choice of specifically configured laptops with extended warranty and insurance at a special university-only discount that is efficiently supported on campus without charge. Students who choose to bring their own device must have a laptop that meets the minimum technical standards to support the academic software required. The Information Systems web site has information about printing using campus resources. Students may also elect to purchase a printer. What should my student do if his/her laptop is lost or stolen?? If the laptop is lost or stolen on campus, students must go to the University Police and file a police report (even if it was lost and not stolen). If the laptop is lost or stolen from an off-campus location, students must contact local law enforcement. The police will give the student a police report. WFU issued laptops (Class of 2017, 18 and 19 only) – Take your police report to the Information Systems Service Desk in the ZSR Library. You will be notified of any fees associated with the lost or stolen laptop. You may request a replacement laptop or purchase a new laptop through WakeWare. WakeWare or personally owned laptops – The University is not responsible for replacing stolen personally owned laptops. If the laptop was purchased through WakeWare, or has Safeware insurance, and the loss or theft occurred within the first 6 months of the purchase, take your police report to the Information Systems Service Desk in the ZSR Library. Safeware theft protection is only activated if the laptop was registered within 30 days of purchase. To register your Safeware card, visit the Safeware website. You will need your purchase receipt. With a $100 deductible, your laptop will be replaced without affecting your coverage for the next four years. We highly recommend adding your laptop, and other items of importance, to your homeowner’s or renter’s insurance. Never leave your laptop unattended. What is the difference between Meal Swipes and Old Gold Swipes? What is the difference between Food Dollars and Deacon Dollarse? When is the deadline to decrease or increase my plan? Where can I find dining hours and menus and how can I check my balance? How can I add additional Food Dollars or Deacon Dollars? Who can address my allergy and dietary needs? Who must purchase a meal plan and where can I purchase it? When does my meal plan expire? How do I request to change my meal plan? Are dining locations open during Thanksgiving Break or Spring Break? Is there a cake ordering service on campus for birthdays? What local restaurants are recommended? Meal Swipes are used for entry to any of our residential dining venues which are the Fresh Food Company (the Pit), Hilltop Market at North Dining Hall, and the Magnolia Room. Old Gold Swipes are pre-determined combo meals at all of our retail locations such as Chick-Fil-A and Subway that include one or more selections of an entrée and drink! Old Gold Swipes give you more flexibility with your plan and are advertised at each of our locations for you to choose from! If you would like a menu item not on that list, then you would use your food dollars provided in your meal plan. What is the difference between Food Dollars and Deacon Dollars? Food Dollars can only be used for purchases in WFU dining venues. Deacon Dollars can be used for dining purchases and other campus locations such as the book store. www.deacondining.com has everything you need to find hours of service and our menus that change daily in our residential dining halls. If you have an allergy our menu allows you to filter out that allergen to show you all of the options available for you to eat! You can also find our hours on the entrances of dining locations. For students to check their balance: if you already have an account, you can sign in here. Don’t have an account yet? Getting registered is simple! Follow the steps below to be able to view your account balance and transaction history whenever you please! All you have to do is go to www.deacondining.com to purchase more! You can also call 336-758-5607 or visit our main office in Reynolda Hall Room 12 Monday – Friday from 8:30am – 4:30pm for assistance to add these to your account. We work diligently to make our dining halls as safe as possible for those with food allergies, we strongly encourage you to visit our allergen site and ask the chefs and/or servers questions about particular bakery or menu items and their ingredients. It is our mission that you find your dining experience to be a pleasant one, and we will gladly meet with you to help create an eating plan that meets your nutritional needs. Who must purchase a meal plan and where can I purchase? All students living on campus are required to purchase a meal plan and you can sign up through Residence Life and Housing at win.wfu.edu. To view additional details on each meal plan as well as dining options available on campus, you can visit www.deacondining.com. Your Meal Swipes and Old Gold Swipes expire at the end of each semester. Your unused Food Dollars will carry over from fall to spring semester and will expire at the end of the spring semester. When you add additional Food Dollars to your account, they do not expire. They remain until they are used. However, once you graduate, you lose the balance if they have any. All undergraduate students can request a meal plan change by filling out the Residence Life and Housing Meal Plan Change Request Form. Campus remains open during Thanksgiving Break or Spring break, however there will be changes to the normal dining schedule and some locations will be closed. See the Deacon Dining Services Website for updated hours; service hours are typically posted the week before the break so students have time to plan. The Daily Deac parent blog asked its readers to send recommendations on local eateries. See their responses here. What should I do if I have an urgent concern about my student or need to reach someone at the University after normal business hours (8:30 am-5 pm M-F)? Where can I find emergency notifications and emergency preparedness information? The 24-hour contact number for parents or families is the University Police number, 336.758.5591 (non emergency) or 336.758.5911 (emergency). They can get in touch with the on-call duty staff 24-hours/day. Please note, the after hours contact is for urgent concerns that cannot wait until the next business day. Wake Alert is the University’s emergency notification system. Read more about emergency preparedness at Wake Ready. How/when is the Fall Family Weekend date chosen? How do I get athletic tickets? How and when can I book a hotel for Commencement? When is Family Weekend? How can I purchase tickets to Family Weekend events and the football game? The date for Family Weekend 2019 has not yet been announced (see next question for details). Once the date is known, it will be published on the Parents and Families page and in the Daily Deac blog. NOTE: the Office of Student Engagement plans and facilitates all Family Weekend activities; they will publish information about Family Weekend on the Family Weekend website. The date is typically chosen in late January or early February after the football schedule has been announced, as Family Weekend traditionally includes a home football game. Once the date is chosen, it is published on this site. Note: due to television scheduling, the football game is usually announced 5-10 days before Family Weekend. The Wake Forest Ticket Office offers online ticket purchasing for most games; Family Weekend football tickets can be purchased via the Family Weekend website. 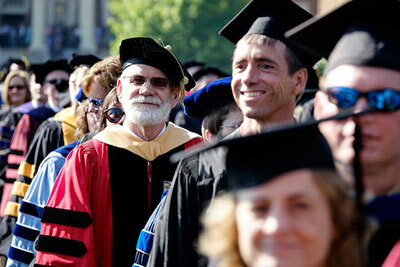 The Commencement web site provides a list of Commencement dates in future years (see bottom left of page) as well as information on all the events. Parents can order tickets online (when registration is available in the spring). Please make note of the checklist for parents and checklist for students as well as the FAQ (Frequently Asked Questions) for Commencement weekend. Some hotels will not begin booking until after the current year’s commencement has taken place, others may. It is wise to book as early as you can in the summer before your student’s graduation. Some hotels have minimum night stays; be aware of cancellation policies. Please see the Hotels page. How are parents notified when tuition is due? What does my student need to do to grant me access to the DEAC online payment system? Can I receive my student’s 1098T tax form electronically rather than by mail? What is the difference in the meal plan, the food dollars, and Deacon Dollars? What ATMs are offered on campus? Can a student buy things on campus with a credit/debit card, or do they have to use Deacon Dollars? Who can help me with a financial aid question? How do I add Deacon Dollars to a Deacon OneCard? The tuition schedule is available on the Student Financial Services’ billing page. Wake Forest uses an electronic online billing system called DEAC (Deacon Electronic Account Center). Each month, an e-bill notification is e-mailed to students and authorized payers that have been granted access to DEAC by their student. If you are not receiving email reminders for e-bills, it is most likely because your student has not yet granted access to you for their DEAC account. Once your student grants access, you will receive an email reminder about e-bill at the e-mail address that your student enters for you. NOTE: if a student doesn’t authorize a parent/family member and misses the tuition email, the student can be blocked from class registration or other important processes because tuition isn’t paid. To avoid those kinds of issues, students should strongly consider authorizing a family member on DEAC. Please visit the DEAC web site for detailed instructions. Please visit the billing and payment web site for more information. Please see the refunds page for information. Wake Forest issues the 1098T in electronic and mail format to the student due to federal FERPA laws. A student needs to grant consent in order to view and print out the form via WIN. Please visit the Student Financial Services website for more information on student’s granting electronic consent. The Deacon OneCard web site has a description of the various options. There is a BB&T ATM in the Benson Center across from the Information Desk in the 3rd floor lobby (accessible during hours the building is open). A Wells Fargo ATM is on the Quad (Hearn Plaza) in Davis Hall (accessible 24/7). Wells Fargo branch locations close to campus can be found at 2925 Reynolda Road and 720 Coliseum Drive. Students can purchase things at the College Bookstore using Deacon Dollars, or MasterCard, VISA or American Express. Many other sites on campus also take debit/credit cards (in addition to Deacon Dollars). The Student Financial Aid Web site has detailed information, an FAQ and staff email and telephone numbers. The Deacon OneCard web site has a description of how to add Deacon Dollars. Where can I find information about fraternities and sororities? What does recruitment look like at Wake Forest? What percent of Wake Forest students are members of fraternities and sororities? Do fraternities and sororities have their own houses? What are common parent and family questions about Greek life? What advice would you give a student who thinks he/she might want to go Greek? The Fraternity and Sorority Life web site provides a vast amount of information, including a section on how to join (recruitment), chapters on campus, information for parents, and more. See the respective sections on panhellenic (female) recruitment, interfraternity (male) recruitment, and NPHC recruitment (historically African American chapters). In the fall semester (when first year students are not eligible and many juniors are abroad), about 35% of students are Greek. In the spring semester when first year students have been through recruitment, about 49% of students are Greek. For women overall, about 40% are members in the fall semester and 60% in the spring. For men overall, about 31% are members in the fall semester and 34% in the spring. Some of the sororities and fraternities have dedicated lounge space in the residence halls, and these are usually attached to their housing block. Housing blocks are rooms next to one another where members live. Most fraternities and sororities have housing blocks in residence halls among other independent students, allowing people to share the same spaces and form bonds even when they aren’t in the same organization. Only one fraternity has a University-recognized off-campus house. There is an FAQ with common questions. The Office of Fraternity and Sorority Life provided their thoughts here. What healthcare services are provided on campus? Who can go to Student Health Service, is there a co-pay or fee for care? What about insurance? How can my son/daughter fill a prescription from their provider at home? How can they pick up prescriptions? My son/daughter needs to have bloodwork done for their medical provider at home/off campus. Can this be done on campus? What if my student is ill? Do I get notified, and if so, how? If my student needs to go to the hospital, does Student Health transport them there? Is the Student Health Service open during school breaks (such as fall break, spring break, etc.)? What vaccinations are required for students? Are influenza and other vaccinations available? How can my student tell if he/she has a cold or if it is flu, or allergies? What about needing antibiotics? Is health insurance required for my student? Is there a tuition insurance program in case my student has an illness or accident that would cause him to need to withdraw? What should my student know about alcohol? Who do I contact if I am concerned about my child’s mental health or wellbeing? What does the University Counseling Center do, and what does the experience look like for student clients? Who do I contact if I am concerned about another student’s mental health or concerning behaviors? Who do I contact for information on disability or mobility services? Wake Forest Student Health Service (SHS) employs full-time providers in primary care as well as psychiatry and sports medicine. See a full list of services provided. All students enrolled at Wake Forest University are eligible for service. SHS does not participate with any insurance plans. Your Student Health fee covers your routine office visit. There may be fees associated with most tests, procedures, labs, prescriptions and some exams. See more information. See the Pharmacy page for more information. If a student needs to get a prescription filled off campus, the closest pharmacies include CVS, Walgreens, Target, Rite Aid and Harris Teeter. Those pharmacies do not deliver to campus. The CVS on Robinhood Road is easily accessible from the Hanes Mall and River Birch Shuttle. Please see the Laboratory site for more information. If a student is ill, he or she should make an appointment with the Student Health Service so he or she can be seen and treated as appropriate. The first priority is to get the student well again. Read more about what in general students should do (from the archives of the Daily Deac blog); the Student Health Service also provided the following information/recommendations about mono. For routine health related problems students of age 18 years or older (in North Carolina) must give their permission before healthcare providers can release health related information to parents. If your student requires an ambulance, Student Health will call one. For non-emergencies, Wake Forest has a contract with a cab company that will pick up students from Student Health and take them to the hospital for a $15 each way. The student must go to Student Health to be picked up by the cab service and get vouchers for the ride to/from the hospital. The voucher is charged to the student’s financial account; he or she does not have to have cash or a credit card. This cab service is available to take students to certain medical appointments off campus. Student Health Service posts its schedule on its web page before most breaks. Student Health also typically lists off-campus health provider options when they are closed. The Student Health Service page lists required vaccinations as well as optional-but-recommended vaccinations. The Student Health Service has historically provided influenza vaccine clinics in the fall. The news section of the Parents’ Page or the Student Health Service web site will have information once it is available. The Student Health Service provided some guidelines to knowing the difference between colds and flu or allergies. Wake Forest, like almost all private colleges and universities, will require health insurance for all full-time students. Students must either enroll in the new program or request to waive enrollment if they carry insurance meeting the minimum criteria set by Wake Forest. Students will be automatically enrolled into the Student Blue insurance program unless they complete the insurance waiver by the posted deadline. Wake Forest offers an elective tuition insurance plan through A.W.G. Dewar, Inc. that will help minimize financial loss if a student suffers a serious illness or accident and must withdraw before the end of a semester. Parents should strongly consider this option, as there are some cases each year where a student must withdraw for an unexpected illness mid-semester. WFU CHOICES (Cultivating Healthier Opinions In Challenging Everyday Situations) is the Wake Forest University substance abuse prevention program. Visit the WFU CHOICES web page for more information. The University Counseling Center is available to students seeking individual or group counseling/psychotherapy, consultation, crisis response, or referral to community specialists. All services are free and confidential. If you believe your child would benefit from counseling, please encourage them to seek help. 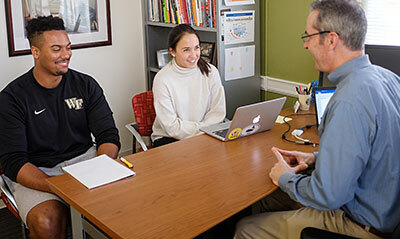 The Daily Deac parents blog sat down with Dr. James Raper, Director of the Counseling Center, for a two-part interview describing the client counseling experience. See Part I (making the appointment and the initial counseling appointment) and Part II (subsequent appointments and frequently asked questions). The Campus Assessment, Response, and Evaluation (CARE) Team serves the campus community by evaluating and responding to disruptive, troubling, or threatening behaviors. The CARE Team seeks to help identify members of the Wake Forest community who are in need of support, guidance, or other intervention and to refer them to appropriate campus and community resources. The Learning Assistance Center provides support for students with disabilities. These include learning disabilities as well as physical or mobility issues, including temporary mobility issues due to injury. For all housing questions, see the Residence Life and Housing FAQ page. How do I mail a letter to my student? How do I mail a UPS or FedEx package to my student? Where is the campus Post Office located? How does my student get notified that he/she has a package? What happens if my student loses his/her post office key, or does not have the key but asks the staff to check his/her box? Do students keep the same P O Box all four years? How can my student get his/her mail forwarded during the summer? How can I send flowers to my student’s residence hall? Are there options for my student to ship his/her belongings home for the summer, or to store them in Winston-Salem? What is the difference between the Bookstore and the Deacon Shop? The Post Office is on the 1st floor of the Benson University Center. When a package arrives at the Post Office, the student will get an e-mail from the Post Office. There will also be a package slip in his/her actual post office box, with the location of the package on it; students need to bring the slip to the Post Office front desk so the staff can find their package. NOTE: your student may receive a message from the shipper that the package has been delivered to WFU – but the student must wait for the confirmation email from the WFU Post Office that the package is now ready for pick up. Any packages not picked up in 30 days will be returned to sender. Students will be e-mailed two more times before a package is returned. Lost keys are a $15.00 charge. If a student does not have his/her key but asks the staff to check his/her post office box, there will be a $5 charge; this is because staff have to stop their normal work to check the student’s box, and with 4,800+ students, staff cannot retrieve everyone’s mail. Yes, unless the student moves off campus for senior year. If a student moves off campus, he/she is required to notify the Post Office so the box can be freed up for another student. If he/she wishes to keep the same P O Box after moving off campus, the cost is $60 per year. Mail Services puts a flyer in each student’s post office box with instructions on how to have the mail forwarded for the summer. If your student did not see the flyer in his or her post office box, ask the student to see one of the mail services staff at the post office for assistance. Families can search for local florists on the Internet. Any arrangement not picked up in a week will be discarded. Residence Life and Housing typically publishes in April some options for shipping items home or storing them over the summer. University Stores is comprised of four separate retail locations and operations. The Bookstore is located on the Quad (Hearn Plaza) on the first floor of Taylor Hall and has books and commonly needed items. Apparel and WFU logo items are sold in the Deacon Shop in Kitchin Hall. Textbooks, located beneath the Bookstore in Taylor Hall, offers new, used and rental and selected digital textbooks for student with an online ordering capability. Is there a cake order and delivery service for students’ birthdays and other occasions? What if my student loses his/her Deacon One Card? The Deacon One Card site has a listing of replacement costs. Where can I park (throughout the academic year)? Where can I park during Move-In in August? Where should my student park if leaving for an official break (winter break, spring break, etc.)? Where can I find the Parking Rules and Regulations? I received a citation. Can I appeal it? Visitors can park in any general parking lot on campus. Visitors should avoid reserved spaces, faculty/staff lots, fire lanes or other restricted area on campus. Frequent visitors should contact Parking and Transportation to register for a parking permit. Close to Move-In, families of new students must print out the Move-In Parking Pass and display it on their car. Returning students (sophomores, juniors, and seniors) should print the Returning Student – Move-In Parking Pass and display it on their car. This will be located on the Parents and Families section of the New Students web site. Please see Residence Life and Housing’s information on closing the residence halls. The web page about breaks typically has parking information for students leaving cars on campus during breaks. The Ride the Wake website shows the shuttle schedules. There are shuttles between campus and satellite parking lots, as well as shuttles to popular apartment complexes. Parking Rules and Regulations can be found on the Parking and Transportation website. Yes. Information on how to appeal a citation can be found on the Parking and Transportation website. The 24-hour contact number for parents or families is the University Police number, 336.758.5591 (non emergency) or 336.758.5911 (emergency). They can get in touch with the on-call duty staff 24-hours/day. What is the campus crime rate? What general safety information should my student know? How do campus safety notifications work? What should my student know about building evacuations or how to stay safe in an emergency situation? How can we be notified of an emergency and find out if our child is safe in case of an emergency? What does Wake Forest do if there is a perceived threat to security? How will my student be notified if classes will be delayed or cancelled due to a weather-related event? I have not heard from my son/daughter and I am concerned – what should I do? How can my student make a report to University Police? Can a student report a suspected crime anonymously? Is the University Police a real police department? What are the police department hours of operation? Do the WFU police arrest students? What happens to a student who consumes alcohol underage? We have a robust police department and campus is generally very safe. However, there is no campus or city that can be guaranteed absolutely safe. We ask our students to exercise good personal judgment and to be safe, as many issues can be prevented through good practices. University Police uses vehicle, foot, and bike patrol operations. Blue light call boxes are placed throughout campus. Emergency and courtesy phone boxes are located on the outside of buildings and our residence halls are card access controlled. See more about police services. Crime statistics are listed online. Winston-Salem crime statistics are available online. Parents and students alike should visit the Wake Ready web site, which covers safety issues. Students should make wise decisions about their personal safety – keep their rooms locked, do not leave valuables unattended, use the buddy system. There are some general safety guidelines and recommendations here. Wake Alert is the University’s emergency notification program, providing information via the Wake Alert website, text messaging, an outdoor warning system, campus cable TV, email, voice mail and a recorded message on the Wake Forest Weather Line. Parents can check the main Wake Forest website in the event of an emergency, as emergencies are posted on the main web page and will link to the Wake Alert website. Additional information about how Wake Alert works is available online. Prior to the start of school each year, we recommend that students and parents review the Wake Ready website’s sections on building evacuations, what to do if told to “shelter in place” and how to stay safe abroad. Periodically reviewing these pages will help students be prepared in the event of an emergency. Only students, faculty and staff are included in Wake Alert text and email notifications because it is imperative that the message go out as quickly as possible. If you add families to the distribution list, it runs the risk of slowing down the notification process to students, who need the message immediately. Parents can check the main Wake Forest web site in the event of an emergency, as emergencies are posted on the main web page and will link to the Wake Alert web site. The fastest way to check on the safety of your student is to contact him or her by cell phone or email. Parents and families can sign up to receive crime alerts on the Wake Ready web site. While crime alerts are sent in real time to students, faculty and staff, they are not for others. For those registered through Wake Ready, crime alerts are emailed daily at noon, but only if new alerts have been posted in the previous 24 hours. In the event of a perceived threat to security, Wake Forest will quickly assess the situation, then begin alerting the campus and providing instructions and resource information. University Police works with Winston-Salem Police to provide manpower for patrols and investigations. There are multiple channels for students to find out if classes will be delayed or cancelled. Wake Forest will use the Wake Alert system, and will also email students and provide information to local media. In these situations, we can ask our Residence Life and Housing Staff to check on the student. You can contact University Police at 336.758.5911 and give the officer your student’s full name and residence hall room, University Police will contact Residence Life. Residence Life staff will instruct the student to contact you as soon as possible. There are several methods to access more information: Community Input Form, Silent Witness, Ask A Cop, Police Advisory Board. Silent Witness can be used to submit any information a student has regarding a suspicious person, any suspicious activity, or a crime that has occurred on or off campus. Yes. The Department is comprised of professionally trained police officers, security officers, communications officers, and support staff. All sworn officers of the department possess full investigative and arrest authority on any property owned by the University and any contiguous streets or highways. University Police is available 24 hours a day, 7 days a week, 365 days a year via the Police Communications line 336.758.5911. Do the WFU police arrest students? Sworn officers do have the ability to arrest students (as well as faculty, staff or visitors). An arrest could be made for such actions that endanger themselves or others. What happens to a student who consumes alcohol underage? The legal drinking age in North Carolina is 21. The University’s alcohol policies are outlined in the Student Handbook. There is an alternative judicial process for medical situations; for specifics see the handbook. Can new students bring cars to campus? Will my child need a car to get around campus? Has Wake Forest considered a shared bike program for students to use on campus? How can I ship my student’s car to campus? What are the gatehouse hours of operation? Is there a “ride board” for students seeking rides – either locally or to go home during breaks? Where can I find out which airport(s) to use and to see driving directions? Is there any other car service available for students? Where is a list of local hotels? Yes. First-year students park in a designated lot off campus; shuttle service is provided. Students who choose not to have cars may enroll in the Zipcar program. Zipcar’s cutting edge technology allows students to reserve online, or on their mobile device, 24/7. Low hourly and daily rates include gas, insurance. No. Wake Forest is a walking campus and all academic buildings and residence halls are easily reached on foot. A free shuttle service is provided on a regular schedule. There is also Re-cycle, a bike sharing service. Students may enroll in the Zipcar program. Low hourly and daily rates include gas, insurance, and more. Yes. Re-Cycle is our bike sharing program. Please call 336.758.PARK (7275) if you have questions about shipping a car to campus. If your student is having travel difficulties and will not be back on campus for classes, students should contact their professors directly to let them know of their delay. Students should also contact the Office of Academic Advising at undergraduateadvising@wfu.edu. What are the gatehouse hours of operation? Security officers staff the West and East gate houses from 10:00 p.m. until 6:00 a.m.
On September 30, 2017, Wake Forest University will be making the transition from Zimride to ShareTheRideNC. ShareTheRideNC is a statewide ride-matching service sponsored by the North Carolina Department of Transportation (NCDOT) and the Piedmont Authority for Regional Transportation (PART). Students can register with ShareTheRideNC and select Wake Forest University as their primary affiliation. The Visiting Campus page has airport information as well as driving directions and GPS coordinates. The closest airport is Greensboro (Piedmont Triad International). While you may get better airfare deals flying your student into other airports, factor in the price of ground transportation (which can be costly from Raleigh or Charlotte). Shuttle service to select regional airports is available. Holiday travel shuttles operate on a regular schedule. The Benson University Center provides convenient, reliable and safe airport transportation to the Greensboro and Charlotte airports by contract with Black Tie Transportation, a local, family-owned business. For more information, parents or students may contact the Benson Ticket Office at 336-758-4265. ABC Door 2 Door Transportation also provides local car service and transportation to regional airports. Contact ABC Door 2 Door Transportation for more information or a quote at 336.721.9921/336.473.3892 or tadesse@abcdoor2door.com. A list of local hotels is available online.